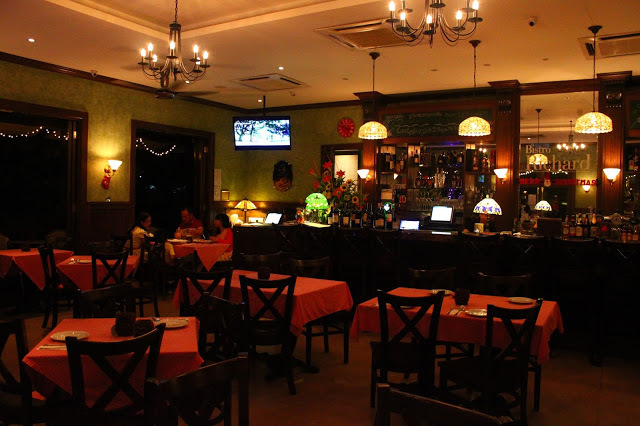 Kickstart your day of love and romance with a selection of delicious western dishes at Bistro Richard. 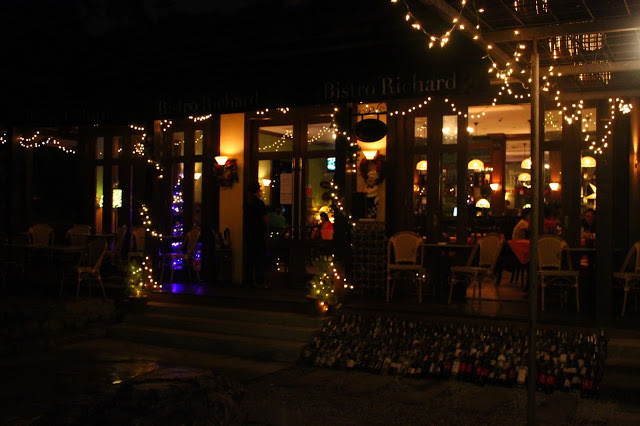 For those who are unaware, Bistro Richard is a stunning and romantic looking place located in Sentul East, deep within the forest of luxury. Look at that, doesn't that look romantic? With all the warm lighting and chandelier. 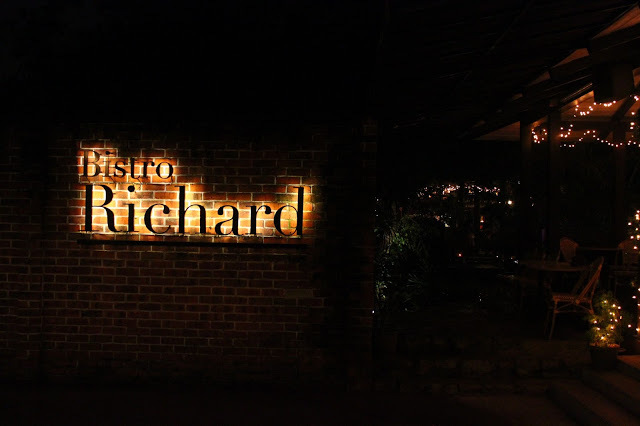 Bistro Richard's Valentine's Day menu is a 3-course dinner set, with one appetizer, a choice of two mains and one dessert. It's simple, affordable and straight-forwarded. Starting with the Minestrones Soup, it is packed with a generous concoction of fresh vegetables in a pool of tomato soup, coupled with crispy croutons and cheese. The soup was really flavourful to say the least, as it was also nicely balanced. It wasn’t overly salty nor was it diluted - a great appetiser to say the least. As for the mains, there are two options available - roasted stuffed chicken breast or roasted lamb leg with puff pastry. If you're the kinda person that enjoys a savoury and rich, succulent piece of meat, then opt for the roasted lamb leg with puff pastry. Cooked perfectly pink, the distinct taste of the lamb works beautifully with the sauce provided, as well as the richness of butter from the puff pastry. A small note, do eat it as quick as possible for a crispier, more addictive serving. Aiming at something a little healthier and lighter in flavour? Then this serving of roasted stuffed chicken breast is the perfect choice for you. Seasoned beautiful with heap of herbs, spices, and then roasted to crispy perfection, this serving of roasted stuffed chicken with a side of risotto is absolutely delicious. Not only is it light in flavour, the acidity from the Neapolitan tomato sauce really helps elevate a sense of tingly and addictive sensation. As for the dessert, you'll be served a stunning-looking, sweet concoction of Chocolate Tiramisu Ice Cream with Strawberry Sauce and Berries on the side. What sweeter way to end a meal with if it isn't this? That is all from me for Bistro Richard's Valentine's Day menu. Priced at RM99 per pax, this simple yet delicious array of items will definitely satisfy you, your partner and of course, your love for food. As for this menu, it is available whole day on the 14th of February, and that day only. No pre-Valentines, no post-Valentines. Just, Valentines. I happened to be lucky that my friend couldn't find a date for an event so he generously took me with him, which happened to be one of the best experience for me in recent times. I was lucky enough to see this event space San Francisco. If you get a chance to check this out please do so.